The LCD Touch BacPac is a removable LCD touch screen for GoPro cameras*. 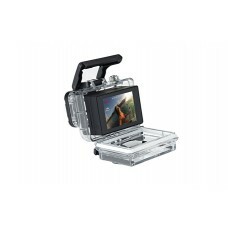 As a removable accessory, the LCD BacPac keeps your camera as small and light as possible, yet provides the convenience of an LCD screen when attached. *Limited compatibility with original HD HERO and HD HERO2 cameras, requires firmware update.